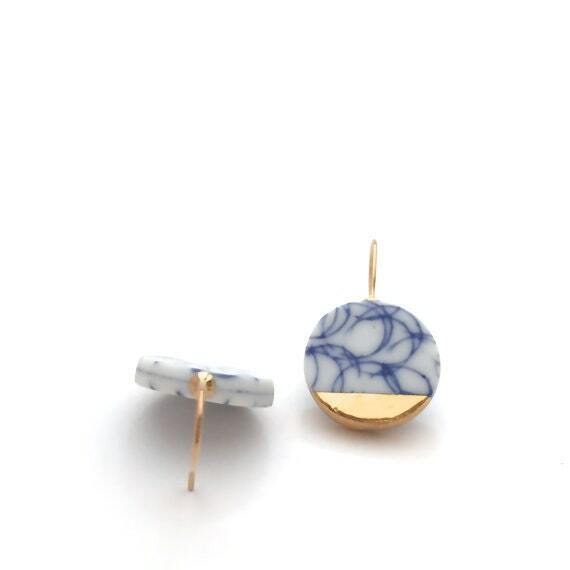 ♡ Elegant and Classic Delft Blue and white porcelain circle earrings with 24k gold lustre accents. 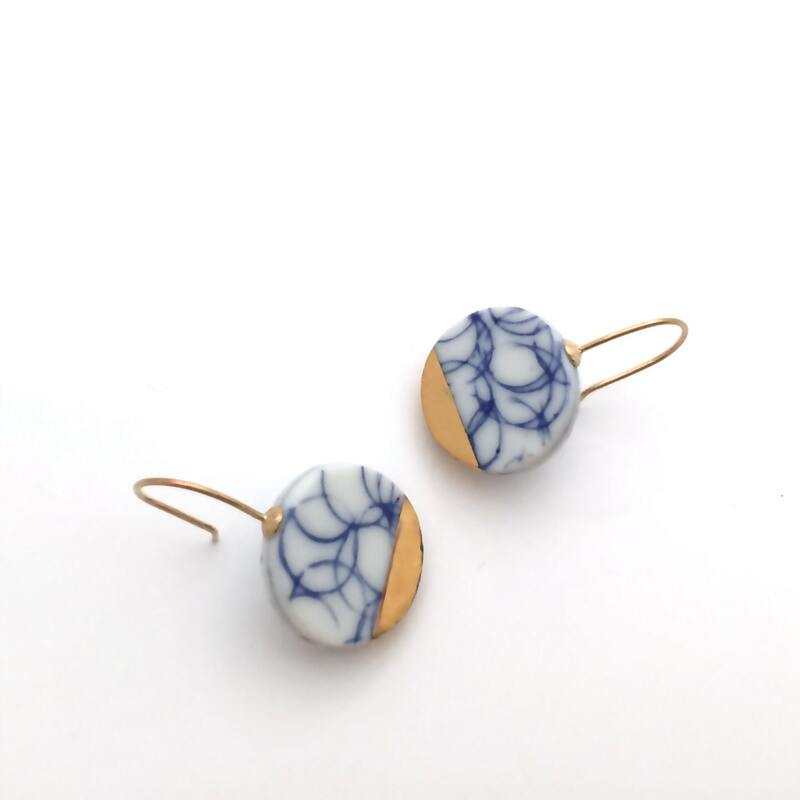 All earrings are handcrafted from snow-white porcelain and fired a multiple times in a ceramic kiln. The highest firing temperature is up to 1300 Celsius degree. This temperature makes the porcelain to obtain stone-like qualities. For example it absorbs the heat of the body similar to a stone. 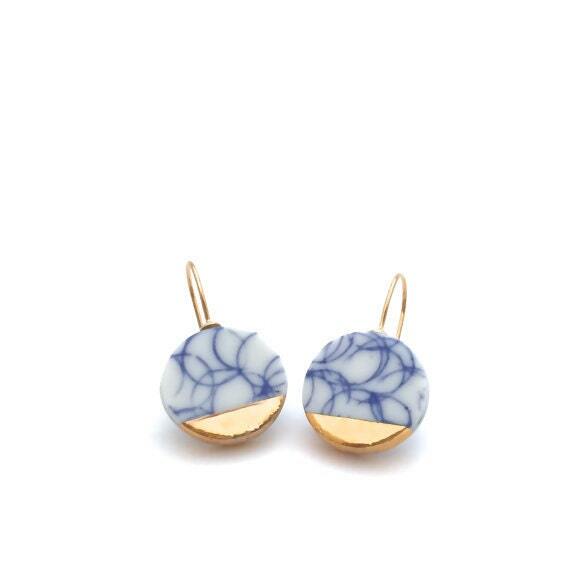 ♡ This pair of earrings is light weight in wear. ♡For custom made orders or questions feel welcome to send me a message. 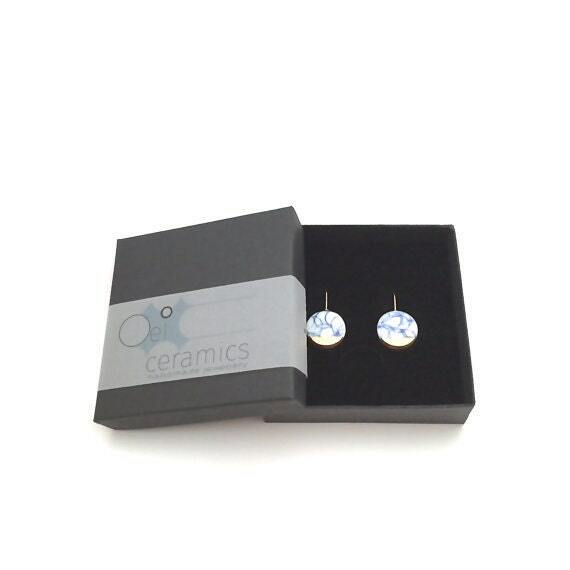 All Ceramic jewellery of Oeiceramics is packed in a beautiful gift box. Would you like to include a personal message? You could add the message in the note section during check-out, so I will attach it in the package. ***NEW*** Superfast Express Delivery to U.S.A.
OeiCeramics now offers the option of Superfast Express delivery to the U.S.A. All Express deliveries are done by Fedex, with a tracking code included. This option is available under Superfast Express U.S.A in the shipping menu under each item. Shipping time is 2-3 business days from the moment of dispatch (1 business day). All items are made of high quality snowwhite porcelain clay. This clay enables the item to be strong, hard, and beautiful white of colour. 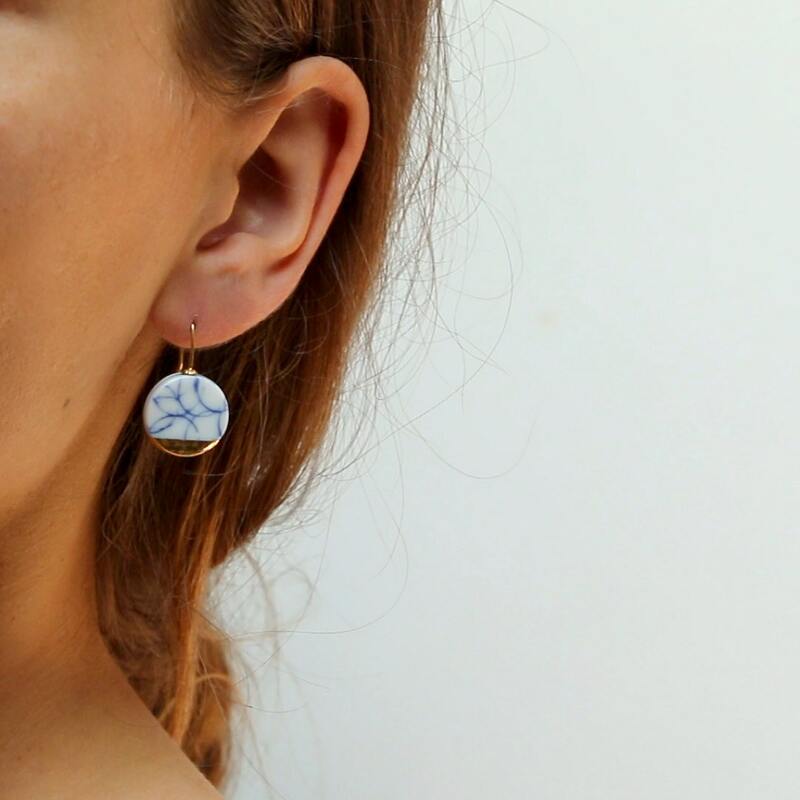 All porcelain jewelry by OeiCeramics is fired till 1300 Celsius degree in a ceramic kiln. The porcelain part can be cleaned with a soft cloth or a soft brush. Please avoid using any hard material like a metal brush. All items are included gift wrapping in a beautiful branded jewellery box. They are securely packed in order for a smooth transition. Information about the item, materials and care instructions are included in the packaging. Do you wish to give the item as a gift? It is possible to include a personal message in the packaging. You could include the gift message in the note section during check-out. Special request or having a question? You might have seen my shop change locations sometimes as I work partly in London and The Netherlands. To avoid any confusion, whenever I change location, the location of where I dispatch from also changes plus the location visible in my shop. OeiCeramics welcomes bespoke orders or personalised orders. Maximum creation time for jewels is 2-3 weeks, depending on my kiln load. I have two electric kilns and one gas reduction kiln, so if you wish me to create something bespoke, it might be possible. You are always welcome to drop me a message. Please double check your address when placing an order. OeiCeramics can't be held responsible when a wrong shipping address was given. Standard included Free Shipping is untracked. For Tracked shipment please choose during check-out. FEDEX Priority is available for all countries, to the USA delivery is 1-2 business days. For questions feel welcome to contact me and I would be happy to help!